Reading is always a good habit. Reading to babies is one of the good habits every pregnant woman should be aiming at. It is never too late to start reading to your baby. The baby can recognize the voice of its mother while it is in the womb. Hence it is advised to harbour the good habit of reading, especially aloud, even while you are pregnant. When your baby is born, it is strict to make a habit that you read to your baby on a regular basis. This is advised after the research done by the American Academy of Pediatrics. It is true that at this little age, it is not possible for your baby to understand the words you are reading but it can stimulate an interest about sound by hearing your voice and it will help in developing listening skills. You can take help of your pediatrician in terms of what could be a good read for your new born asset. The best person who can help you is a child psychiatrist since they have the idea on the mindset of people, especially children and new born. Reading to babies is advised irrespective of age as it opens the opportunity to cuddle and create great bonding between the mother and the child. Rather than TV shows and toys, use books to connect with your child. You do not have to read the full story at once. Take time to read the stories to your child. Help your child understand and help grow the interest about the story. Then only, your effort would bring success. It is advised to speak more to your child. It will help in the growth and development of the baby. The best way to speak more and more is through reading books to your child. Reading books would help in enhancement of verbal interaction in your child. While reading, you are incorporating the concepts of numbers, stories, letters, colors and shapes in her mind and also helping in giving her the information that is available around her. 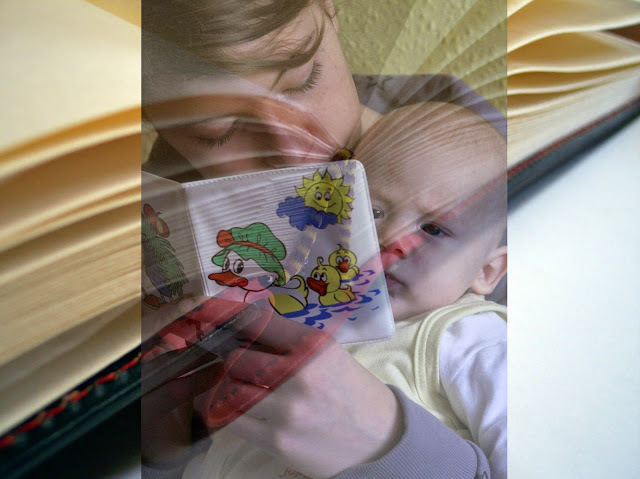 There are immense benefits that your baby can get from reading. Building vocabulary, stimulating imagination and enhancement of communication skills are the three main benefits that your baby can reap from your reading. It is advised that every parent should encourage reading and ensure to make it an addiction well before the first birthday of their child. Reading can help them immersing in the rhythm of sound and speech, which is important for developing the knowledge of language. From a study in Brown University School of Medicine in Providence, Rhode Island it was found that babies could say and understand more words whose parents had read for them while they were 18 to 25 months old, compared to those who had not. Reading creates and enhances the bonding between you and your child. It is a one-to-one activity, which you can make into a very special time with your child. Reading gives you the opportunity to cuddle your child more and it creates the special bonding between both of you. Reading helps your child to get familiarized with your voice too. Exposure of your child to your voice soothes her as it is her mother’s voice. The more you read, the more soothing environment your child will get. According to the study in Journal of Developmental and Behavioral Pediatrics, the more parents read to their babies the more intimate they get to them. A leading pediatrician stated that though your baby cannot understand the words what you are saying, your baby can pick up the rhythm of your voice along with the tone and reflections. Researches showed that more a baby is exposed to reading, the more quickly he will be able to start reading on his own. It also boosts brain power. Since you are reading to your child from the initial age, there are chances that your child will have larger repository of vocabulary. The number of words she listens everyday has direct connection to the enhancement of her language skills. Surprisingly, she will also have more mathematical skills compared to others kids at the same age, as per the study in the Journal of Developmental and Behavioral Pediatrics. Reading to your child will help your child get sharper too. From a study it is seen that parents who read to their child more, has scored more in their standard tests when they attend the age of three, compared to the ones whose parents are not that verbal. A leading pediatrician says that while reading, if you notice, you can see that you child is actually responding to the rhythm of your voice with the movement of its hands and legs. By reading, you are actually helping him to see and hear things around him and helping to respond to them. When you are reading, your baby is actually exposed to various sounds that you use during reading. Your child can relate this with your voice modulation while you read different characters or incidents in the book. This inculcates a feeling of emotion in your child, which would help her understand where to react in what way. During the age of 0 to 3 months, your child will only concentrate on simple patterns on the pages of the book. It is advised to read books with pictures as it helps your child to get familiarized with various shapes, colors and letters, which would be indispensable for her to adapt to her environment seamlessly in her future. When you are making it a habit in your child he would start to think that reading is something that he can enjoy every day and not that it needs to be done for the school. This attitude would foster love for reading in him, which would be helpful in his school and also in his adult age. What Should I Read To My Baby? You might think what would be the best that you can read to your newborn. It is absolutely anything you can read to your child since she does not understand the words what you are reading. You can also read what you are reading or a newspaper article, among others. Timing is not a factor to start reading. Fetuses have the capacity to recognize their mother’s voice while it is in the womb. So it is advised to ensure that you start reading when you are pregnant. It is advised that when your newborn has arrived, it is must that you read to her regularly as it stimulates an interest of sound. Additionally, irrespective of age, reading together with your child creates that special moment between both of you and gives you an opportunity cuddle your child, essentially reading creates a special bonding between you and your child. As at this age, the vision of your child is not fully developed as it is in the process, it is recommended to use books that have very less or no text and more of big and colourful pictures. This helps to quickly develop the visual perception of your baby. Books with interactive stuffs like peepholes, mirrors or puppets are recommended. It is seen that babies get calmed by the rhythmic sounds that lullabies and nursery rhymes have. Ensure that you choose these as the first stories for your child. Try buying books whose covers are made of sturdy vinyl or cloth material rather than paper because by the age of 4 months, your baby might start chewing them. Since you are regularly reading books and stories to them, your child may begin to grasp some of the words from the stories when he or she reaches half way mark of his or her first year. The regularly used words like doggy, mommy, daddy, granny and others would be grasped by your child quickly than any other words. Book whose story orients around one person or object would be the best choice. As your child grows and if you read a stroy about that object or person every day, at grown-up stage, his personality would to a certain extent resonate the object or person on the book with the real life. Pay attention to the point that he or she shows interest in. It is good to make gestures with your hands and face when you are reading something to your child and allow your child to babble back to you. Try to invite your baby to turn the pages when he or she is 8 to 9 months old. At this age, you can include the books that have one or two sentences in it in each page. It is better to act out the story while reading rather than just reading it out. Ask your child to participate in the story by asking certain question relating to the activities of the people or animals in the story. Relate the questions to the real life examples as well while reading a book. Babies do get delighted while reading with adults. They enjoy turning the pages and points out the familiar objects in the book that you read to him before. Many toddlers find reading is calming and reassuring activity. They feel the same with certain familiar books. That is the reason why they ask for the familiar books over and over again and they don’t want you also to change your reading style. Allow you baby to be the judge of good books and stories. This would inculcate a sense of differentiation between the good and the bad. Books that have catchy and colorful pictures will surely please your child. Research has showed that many children like books with lots of photographs and some like books that have built-in activities. It is advised to change your books time to time so that your child get the taste for every book you read. How To Establish Reading As A Habit In Your Child? Building a habit of regularly reading is going to help your child throughout her life. Below are some tips that can help you build these habits. Researches have shown that most toddlers to do not have patience for long stories. Hence it is advised to keep your reading sessions short and sweet so that your child can keep the interest in the story. In order to do that, start with a brief session and gradually keep extending the reading sessions every week. Have you noticed that your baby does not want to sit in one place while you are reading? If you have noticed that, it's advised to accept it that way. You should allow your child to move around and play while you are reading the story. Ensure that he sees the pictures in the book every now and then. Many toddlers love to touch the books. You would see them turning the pages, patting the bunny or pulling the flaps. Ensure that the material of the book is touch-friendly. If it is not, then your baby would not like touching the books and he or she would feel that it is not any good thing to use. Engaging your child verbally is very important in order to grow the interest of what you are reading. Hence asking questions or making silly voices while reading or imitating some sounds would grow an interest in your child about the story. Also, ask questions about the story to your child at regular intervals. You may find it difficult selecting the books . One advice is to select books with highly contrasting visuals. Toddlers generally get attracted by the books that have lots of pictures in it, rather than the text. You can take books with objects, animals, nature or anything. It is noticed that most babies like to look at other babies. Buy a book with pictures of babies as well. It is recommended that you try different times to read. Do not stick to just one time dedicated for reading. That would not grow any interest in your baby. Try reading while your child is bathing or having meals or lying in the bed at night and preparing for sleep. Select different stories for different times. This would grow an interest in your child about books and reading. Babies follow their mother very keenly since most of the time, they are with their mother. Hence, if you are a mother, it is advised to inculcate the habit of reading in yourself so that your baby can learn seeing you. When you are reading on your own, your child might think what mom is doing and let me also do it. This advice is given to every mother by the child psychologists. This is just few things that you can do to inculcate the habit of reading in your child. These are just suggestions for you. You would know better what is good for your child. In many researches, it is observed that babies grown up with the reading from their mothers get to learn more things and moreover learn things quickly. Reading books is always a good habit and it is recommended that you teach this habit to your child from early childhood.